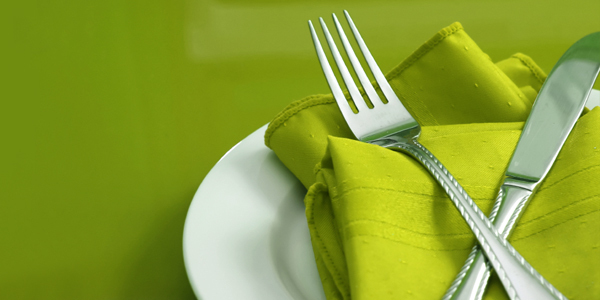 Today as part three of my four part mini-series about environmentally friendly cooking, cleaning, and party planning/entertaining, I am featuring tips on ‘green’ party planning. And in case you missed part one (composting) and two (‘green’ cooking and cleaning tips) you can read up on them. All of these posts are leading up to help me throw an eco-friendly party (party post coming next week), and while a ‘save the Earth’ or Earth Day party theme is always fun, the tips below are important things to keep in mind no matter what type of party or event (bridal shower, baby shower, birthday party, graduation, etc.) you are throwing. Invitations- With modern technology, paper invitations are almost becoming obsolete, which for the environment’s sake is a good thing! E-vites, emails, Facebook ‘events’, text messages, and a good ‘ole fashion phone call, are all great ways to get the word out about your event. Not to mention all of these things are absolutely free! Decorations- Re-purpose things/decorations you already have. Pine cones, fresh colorful fruit (lemons, limes, apples, oranges, pears), or fresh flowers will make beautiful centerpieces that can be displayed in bowls, vases, old wine bottles, jars, cans, etc. For a child’s themed party, use toys, posters, and so forth that the child already owns as part of the decor. Supplies- Ditch the plastic wear and paper goods and use your everyday dinnerware. So many people have ‘nice’ sets of dishes that they never use, but why not? By making a small investment in an extra plate set, not only will you keep the landfills free of unnecessary waste, you’ll save money in the long run. And if storing an extra set of plates and glasses is an issue, why not rent dishes (which is actually a lot cheaper than most people think and most rental companies don’t even require you to wash the dishes) or borrow. The same thing can be said about tablecloths and cloth napkins; make an initial small investment and reuse time and time again. For a themed party or child’s party purchase decorated fabric or even a twin sheet set to use as tablecloth that can then be re-purposed. Food and Drink- Choose a party menu featuring as much locally grown/prepared food as possible. Opt for no-cook or slow cooked foods such as sandwiches, fruit/veggie trays, soup or chili ‘bars’ etc. that won’t need long oven cooking times or to be kept heated. And if serving beverages in a can, have a recycling bin set up for immediate proper disposal. (For more food tips click here). Party Gifts- Send guests away with ‘green’ and reusable favors such as potted plants or herbs; reusable bags, coffee mugs or water bottles; mason jars filled with a cookie/cake/brownie mix with baking instructions attached; flowers from the party’s centerpieces; or even dinner leftovers packaged in reusable storage containers like these. 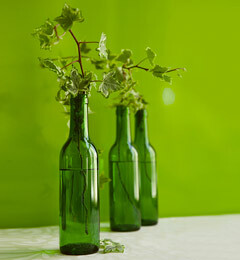 So, do you already practice ‘green’ party tips like these? What other eco-friendly party (or general living tips) can you share? Disclaimer: This post is one in a four part blog series about environmentally friendly party/event planning/cooking sponsored by Foodbuzz and GLAD, through the Foodbuzz Tastemaker program, as part of the GLAD “One Bag” event. All opinions are my own.